Even with the smile on her face, she looked worried. No one had stopped to help for the last hour or so. Was he going to hurt her? He didn’t look safe; he looked poor and hungry. Well, all she had was a flat tire, but for an old lady, that was bad enough. Bryan crawled under the car looking for a place to put the jack, skinning his knuckles a time or two. Soon he was able to change the tire, but he had to get dirty and his hands hurt. Well, there were tables to clear, sugar bowls to fill and people to serve, but the waitress made it through another day. That night when she got home from work and climbed into bed, she was thinking about the money and what the lady had written. How could the lady have known how much she and her husband needed it? With the baby due next month, it was going to be hard…. Reblogged with permission from bubbygirl1972.wordpress.com. I wondered how to start this. So after thinking about it and discarding various ideas, I decided just to start at the beginning. I was born in February 1972. There was a problem, however. It was way too early for me to be born. I think my weight was something like two pounds, one ounce. In essence I was pretty small. My lungs weren’t properly developed so apparently I had some trouble breathing. Doctors didn’t hold out much hope for me. They even suggested to my mother that she didn’t get attached because I probably wouldn’t make it. Every time I hear that, I have the same thought: “How can anyone advise a mother not to get attached to her child regardless of whether chances of survival are good or not?” There was only one doctor who thought I would make it. Apparently there was another baby with the same name as me, who sadly didn’t make it. My parents thought perhaps I wouldn’t, either. Someone, somewhere must have been praying though. Since I’m not a ghost, and I’m here writing this blog, I guess that doctor was correct. He was our family doctor for some years. After a long time, it was finally time. They were releasing me from the hospital. My mother must have been super excited. I had been in a humidity crib for about three months according to my mother. I want you to come with me back to that time. Picture this if you will for a moment. My Italian mother walks in with baby clothes so she can dress me and finally bring me home. She would be planning a future for her fourth child who almost didn’t survive. Her youngest child, and only girl, is finally getting out of the hospital. She can finally hold her baby… Along comes a docto. He is actually a specialist and top of his field. He casually asks if she is ready to take her baby home. When she replies in the affirmative, he again casually asks, “You do know you are bringing a blind child home, don’t you?” Apparently this was the first my mother had heard of this. She was either not given any prior warning, or didn’t understand what they had said. Whatever the case, this was a major shock. Are you thinking that the doctor was pretty harsh? She was offered no counseling or anything. She didn’t know how to cope with it all, and went through a bad period in her life where she drank a lot and grieved. She still looked after me, though, and from what I’m told, I was never, ever neglected. 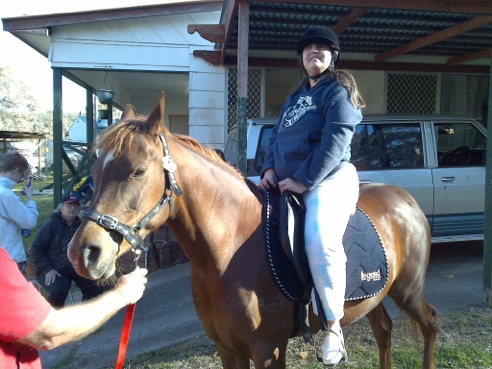 God used one of the most unlikely people to help mum snap out of her grief and start looking for solutions. This was apparently just what mum needed. I grew up loved and, yes, very spoiled. I thrived, in spite of it all. Not only was I born into a loving family who were prepared to take care of me and love me no matter what, but I was able to beat the odds and live when everyone said I wouldn’t. Doctors said I probably wouldn’t walk until I was two, but with sound guidance from mum, she says I walked at 14 months. I apparently have always loved music and talked fairly early, both in English and Italian. I am still impossible to shut up apparently. From the time I was able to understand this stuff, I think I realized, be it dimly, that God has had His hand on my life all my life. Yep, read that sentence again. In other words, looking back on my life, I can see God has been there as a lifelong companion. With God and the wonderful family He gave me, I was able to beat the odds and live a full life. I could continue writing, but this blog would get rather long. Stay tuned for more from me. Life is about habits and behaviors. All time represents is a series of moments and actions stitched together that seemingly always exist in the present. We can reflect on what we have done in the past, think about what we may do in the future, but we can really only ever control now. Part of my job is observation. Sadly, my best case study is often myself when it comes to areas of needed improvement. I never cease to amaze myself with what I consciously do wrong and regret later although I am getting better. I am also certain my human experience isn’t unique. You may catch your self doing some of the following things over the course of any given day that inhibit rather than promote feelings of self-satisfaction and happiness. As with all things, awareness is the first step. I encourage you to print out and take this list with you and put it in your briefcase, purse or wallet. I also like to tape it to my desk and put it in my glove compartment. Briefly review it several times throughout the course of the day. When you knowingly do something on the list put a check mark next to it as close to the occurrence as possible. At the end of the week see how many check marks you have and which items are you biggest weaknesses. Rethink how you could have handled the situations differently. No rationalizations are allowed. Over time you will notice that the number of check marks will go down markedly. Don’t strive for perfection just incremental daily improvement. After a month I guarantee you will notice a big difference in how you feel and how others are responding to you. When I first shared my story a few years ago, I did so because I was diagnosed with stage IV cancer and told my life would not last long. I wanted to share my story, what I had experienced and how I became who I was, with my children. I never intended to share my personal life publicly. The biggest reason was because I did not feel my story would matter to others. After being encouraged by friends, I shared my story with others. Since sharing my story and creating a platform to help others learn from and share their own story, I have discovered just how powerful each of our stories are! Our stories are filled with wisdom and golden nuggets of truths that can help not only ourselves but those around us to thrive. When others began to tell me that my story encouraged and inspired them I felt greatly humbled. At the same time, I realized that all I had been through was for a purpose. Part of that purpose was to grow me and help me become who I am and part was to share what I had learned to help others. As I have interviewed others about their stories and shared those stories, I have seen again and again the power in sharing our stories to encourage and inspire each other! People need to know that others have endured similar or the same tragedies and challenges. People need to hear about how someone overcame their obstacles, including those who have found their purpose in learning from their story like I have. The book is an account of my journey in sharing my and other stories. It contains several open-ended questions for the reader to ponder their own story and begin to unravel the meaning and to learn from their story. The finale of the book is a step-by-step guide to creating a vision board, which is a creative project to visualize your hopes, dreams and future based on your story! Your story matters~you matter…learn from and tell your story! You can buy your copy at Amazon. The book is also great to use with your book club or small group! You can get a discount for orders of six or more by inquiring at yourstorymatters.net using the contact form. 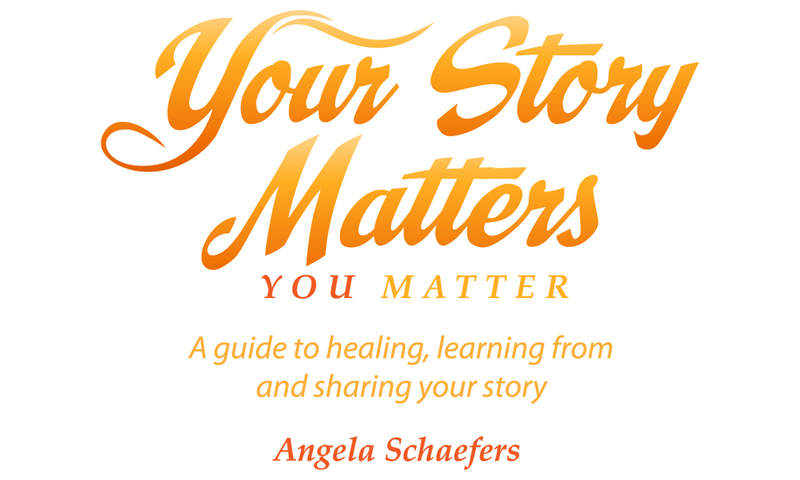 Angela Schaefers is an inspirational speaker, freelance writer and producer and host of “Your Story Matters” show. 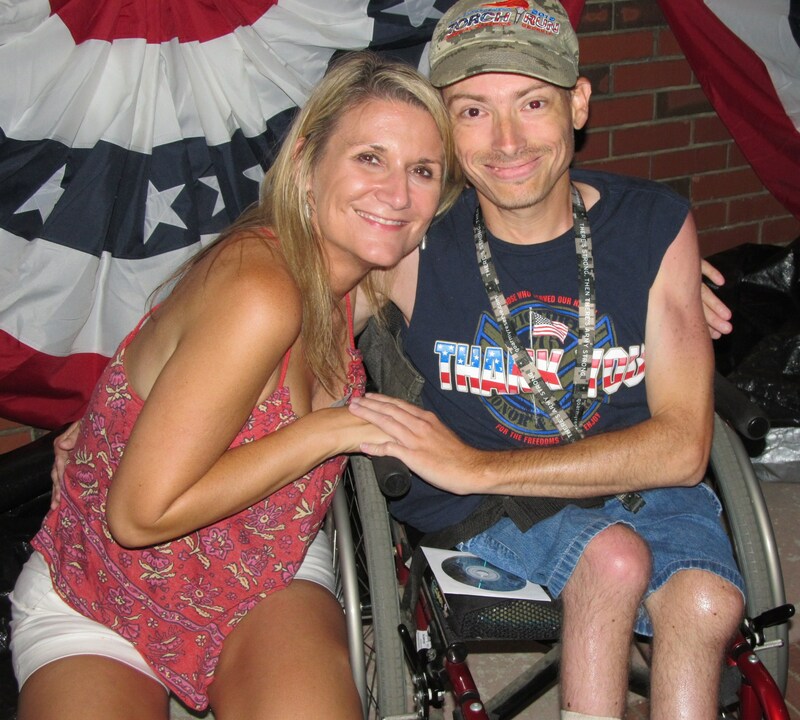 Angela speaks and shares her story of hope and faith to overcome tragedies since childhood, facing stage IV cancer and more to discovering her own life purpose. She is a keynote for organizations and effectively shares the message within their story. Angela interviews people around the globe to share their inspiring stories of overcoming challenges and living life purposefully. She also shares story about various non-profits that are creating change locally and globally. 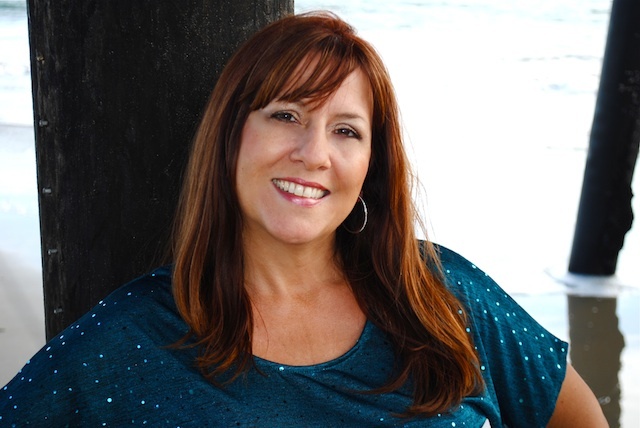 Angela holds a bachelor of arts degree in organizational management and a master of arts degree in counseling. She has previously counseled families, couples, children and individuals, has provided career coaching and has trained and worked as a chaplain. Angela has three children and is a mimi (grandmother) to one. She enjoys outdoor activities including biking, hiking, kayaking and being at the beach, loves tea time and savors a break to the spa. I got this in my e-mail a few days ago, and thought it had such a powerful message, especially if you know someone who has a disability. I’m planning on doing a follow-up to this post in a week or so (time-permitting), but just wanted to let people know that sometimes you have to dig a little deeper than that rusty, broken down exterior and see that special gift in someone that’s hidden deep inside. I would’ve never realized my special gift if it weren’t for my family, co-workers and friends encouraging me to open up and grab life by the horns and realize how much I have to offer society. Thanks guys!!! I remember reading a story once about a man who was exploring some caves by the seashore. In one of the caves he found a canvas bag with a bunch of hardened clay balls. It was like someone had rolled up some clay and left them out in the sun to bake. They didn’t look like much, but they intrigued the man so he took the bag out of the cave with him. As he strolled along the beach, to pass the time, he would throw the clay balls one at a time out into the ocean as far as he could throw. He thought little about it until he dropped one of the balls and it cracked open on a rock. Inside was a beautiful, precious stone. Excited, the man started breaking open the remaining clay balls. Each contained a similar treasure. He found thousands of dollars worth of jewels in the 20 or so clay balls he had left, then it struck him. He had been on the beach a long time. He had thrown maybe 50 or 60 of the clay balls with their hidden treasure into the ocean waves. Instead of thousands of dollars in treasure, he could have had tens of thousands, but he just threw it all away. You know sometimes, it’s like that with people. We look at someone, maybe even ourselves, and we see the external clay vessel. It doesn’t look like much from the outside. It isn’t always beautiful or sparkling, so we discount it; we see that person as less important than someone more beautiful or stylish or well known or wealthy. But if you take the time to get to know that person, and if you ask the Spirit to show you that person the way He sees them, then the clay begins to peel away and the brilliant gem begins to shine forth. Clowneys need not apply. Time to strap it down and get it on boys. 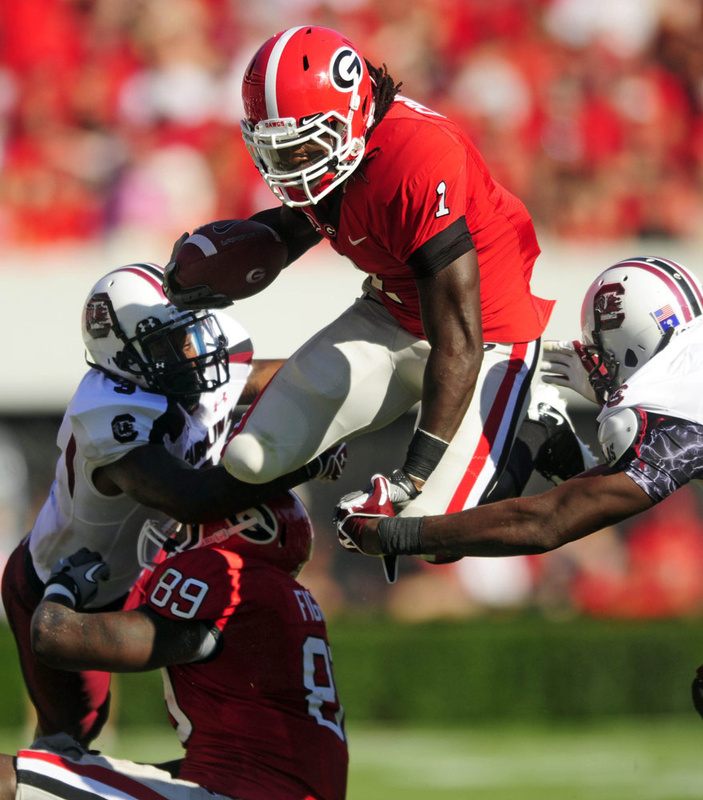 Hunker down against the Gamecocks and wipe that damn snarl off Spurrier’s face. Send him crying to Stephen Garcia where he belongs. After Jesus ascended into heaven, the early church in Rome wrote many pages about His teachings on angels and selected September 29 as a day to honor Michael the Archangel (Later, the honor was given to all the Archangels.). The feast proved to be very popular, and in 813, in one of the church’s first official meetings, the feast was expanded to all countries in the Roman Empire. This process was somewhat unusual because feast days were usually started locally, and then as time passed (and perhaps some miracles occurred), a petition for sainthood would be presented to the hierarchy. In this case, the hierarchy had already recognized the archangels as a vital part of Christian belief. By the fifth century, devotion to all angels was widespread, and by the 12th century, mainly because of St. Bernard and his love for angels, the belief that each human being has his own guardian angel had become a tradition. (The concept of an angel assigned to guide and nurture each human being is a development of Catholic doctrine and piety based on Scripture but not directly drawn from it. Jesus’ words in Matthew 18:10 best support the belief.) With so much interest in them, it seemed obvious that guardian angels should have their own feast day so in the 16th century, after some confusion in choosing an official date, Pope Clement X selected October 2 as the Feast of the Guardian Angels, a kind of supplement to the September 29th date, which they kept. –To thank God that He has given each one of us a guardian angel to guide us to good thoughts, works and words, and to preserve us from evil. 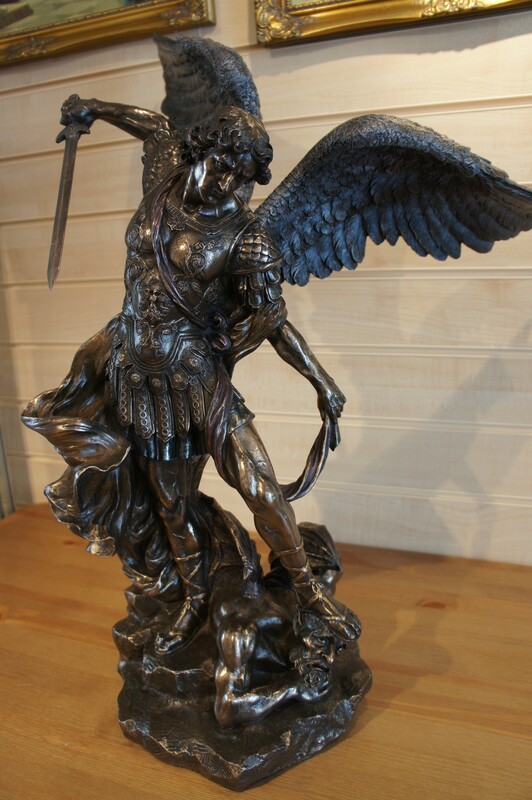 –To inspire us with gratitude to the protector archangels like Michael, who do us such great good, and to incite us to efforts to render ourselves worthy of their guardianship. Interestingly, the entire month of October, among other honorees, is devoted to angels. Make it a point to talk to your angel any day this month. Ask that you get to know him better. You’ll never have a finer friend. 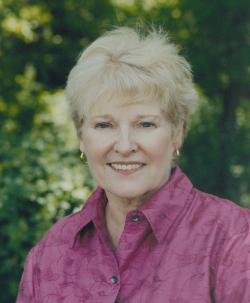 Author and lecturer Joan Wester Anderson was born in Evanston, Illinois. She began her writing career in 1973 with a series of family humor articles for local newspapers and Catholic publications, and was a monthly columnist for two national magazines during the 1980s. She has published more than one thousand articles and short stories in a variety of publications, including Woman’s Day, Modern Bride, Virtue, Reader’s Digest and the New York Times Syndicate. Her 15 books include “Where Angels Walk, True Stories of Heavenly Visitors,” which was on the New York Times bestseller list for more than a year, has sold almost two million copies and been translated into 14 languages. Published in fall 1994 were the sequel to “Angels,” titled “Where Miracles Happen,” and for children, “An Angel to Watch Over Me.” Both books were written in response to suggestions from readers and were followed in rapid succession by three more in this series. “Forever Young” (Thomas More Publishers), the life story of actress Loretta Young, was published in November 2000. The actress had read the angel series and requested Anderson as her biographer. The two became close friends. Anderson’s book, “In the Arms of Angels” (Loyola Press) covers angelic activity primarily during the past decade, including stories of hope from the 9/11 and Columbine School tragedies. Her most recent books, “Guardian Angels” (Loyola Press), and “Angels and Wonders” (Loyola Press), focus on amazing and tender stories of God’s answers to prayers. Anderson has appeared on national television programs including “Good Morning America,” “Oprah,” “20/20,” “NBC Nightly News with Tom Brokaw” and “Mother Angelica Live,” and was featured in such documentaries as “Angels–Beyond the Light” (NBC), “Angel Stories” and “Stories of Miracles” (The Learning Channel), and many videos. She was a story consultant for the television series, “It’s A Miracle,” lectures in cities across the country and has been interviewed on hundreds of radio talk shows. Anderson, who is Catholic, is a member of St. Edna’s Parish in Arlington Heights Ill., a graduate of Northeastern Illinois University in Chicago, a member of the American Society of Journalists and Authors, and a former adjunct professor at Harper Community College in Palatine, Ill. She and her husband live in suburban Chicago, and have five grown children and four grandchildren.